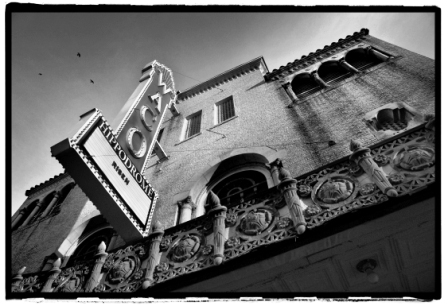 At Waco’s Hippodrome theatre, a specter haunts the rafters above the stage/screen. Both workers and visitors claim to hear barely perceptible footsteps, voices, cheers, cries, and music around the building. Some claim to catch glimpses of shadows moving along the balcony and in the dark corners of the theatre. Others have reported seeing the spectral figure of a woman, most often near the women’s restroom. The wraith is believed to be a stagehand who was particularly dedicated to the theatre; so much so, he or she refuses to leave.